In addition to his former 35-year career as a university professor, Dr. Nick Curcione is an internationally recognized outdoor writer, instructor, lecturer and tackle consultant with more than 40 years of angling experience. Though extremely well versed in all phases of the sport, Nick is especially noted for his casting expertise and instructional clinics. He is one of the country’s leading authorities on sinking lines and shooting heads, and his knowledge of knots and rigging are held in high regard. Nick has been on the sport fishing show circuit for more than 30 years, where he has been a featured attraction for productions like the International Sportsmen Expositions, The Great Western Fishing and Hunting Shows, Marriott’s Fly Fishing Fairs, and the Shallow Water Expositions. His fishing travels have taken him to a variety of locales, including all the coastal waters of the continental U.S., Alaska, Canada, the Caribbean, Mexico, Central and South America, New Guinea, and the South Pacific. His writing credits are extensive, with numerous articles in local, national, and international publications. 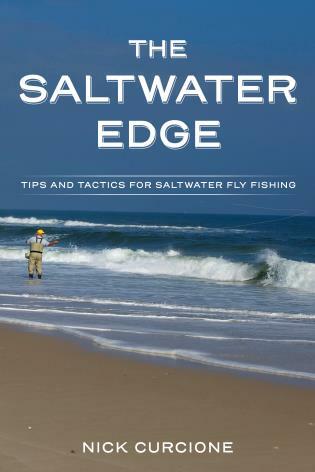 Since its inception, he has been on the editorial staff of Fly Fishing Saltwaters magazine and has authored three fly fishing books, The Orvis Guide to Saltwater Fly Fishing; BajaOn The Fly; and Tug-O-War, A Fly Fishers Game. Over the years, Nick has served as a consultant for a number of major tackle manufacturers and has recently joined Temple Fork Outfitters advisory staff.